Human movement is made possible by synovial fluid, or freely moving, and cartilaginous, or fixed, joints . The synovial joint is a functional connective tissue unit that allows two opposed limb bones to move freely in relation to each other. Kishner S, Courseault J, Authement A. Knee joint anatomy. Available at: http://emedicine.medscape.com/article/1898986-overview. Last accessed December 7, 2012. Symmons D, Mathers C, Pfleger B. Global burden of osteoarthritis in the year 2000. World Health Organization Web site. 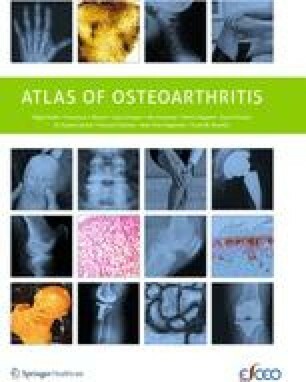 Available at: www.who.int/healthinfo/statistics/bod_osteoarthritis.pdf. Accessed December 7, 2012. Conde J, Scotece M, Gómez R, Lopez V, Gómez-Reino JJ, Gualillo O. Adipokines and osteoarthritis: novel molecules involved in the pathogenesis and progression of disease. Arthritis. 2011; epub doi: 10.1155/2011/203901.